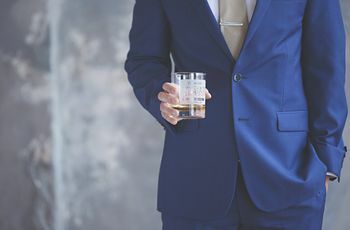 Here are a few options for both formal and black tie attire for grooms. Some man may feel best in sophisticated wedding finery. Black tie attire refers to what is considered the most formal attire. For men this generally means breaking out the classic black tuxedo. However, you can still have a formal wedding without the penguin suit. 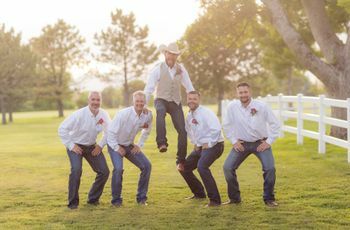 This groom is going with a more modern take on vintage style. 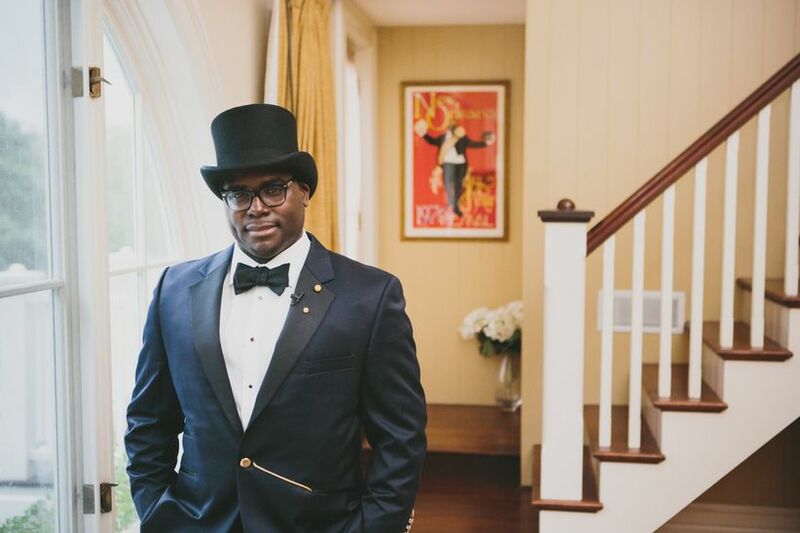 He opted for a navy-hued jacket with black lapels, black bow tie, and top hat. The look was completed with gold hardware that really popped! 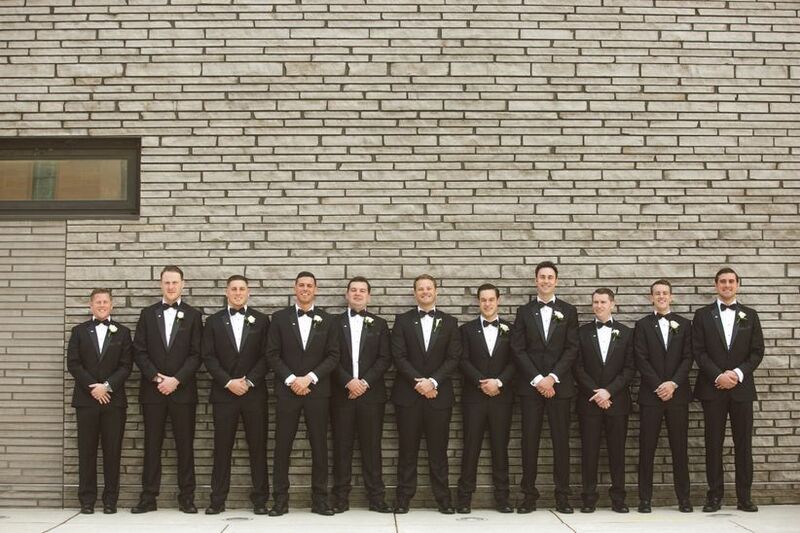 Great for a traditional wedding, stick with the tried and true tuxedo. 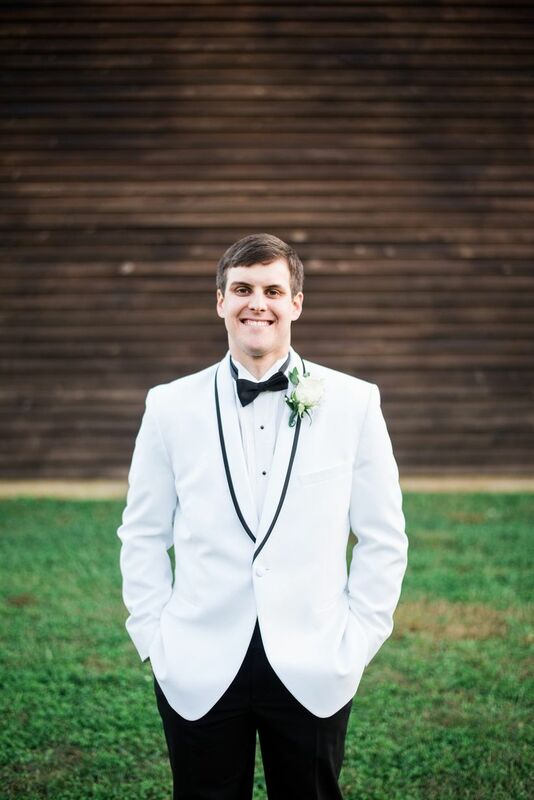 The black and white will contrast beautifully with a bright boutonniere. 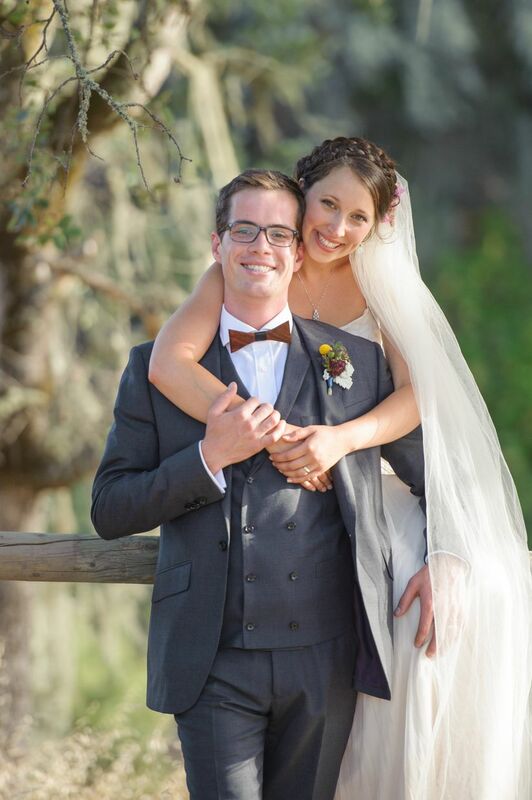 For an outdoor wedding in spring or summer, a grey tux paired with a bright bow tie and boutonniere always looks chic! 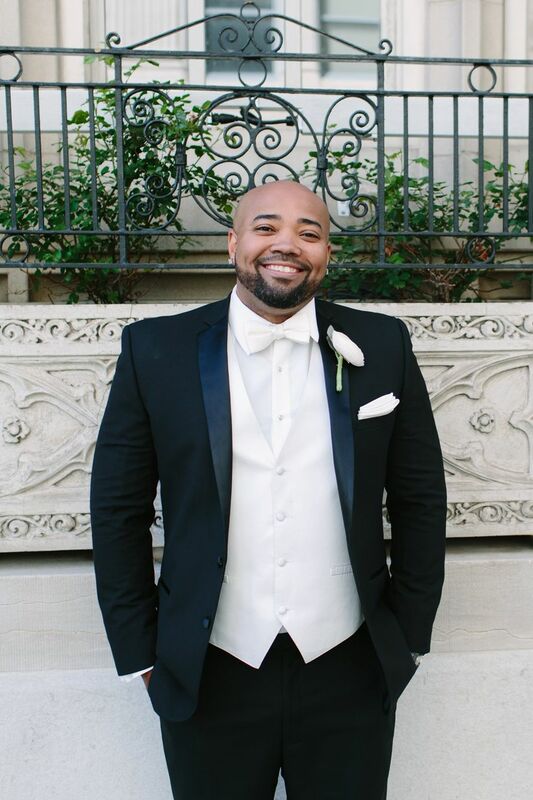 This groom choose to go with a white vest and bow tie which he paired with a matching pocket square and boutonniere. Having a late summer wedding? 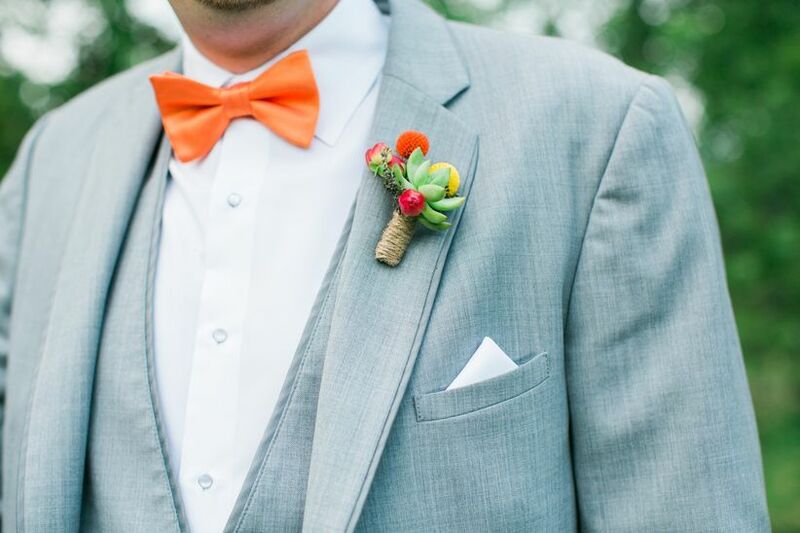 Be like this groom and pull colors from the upcoming seasonal change. 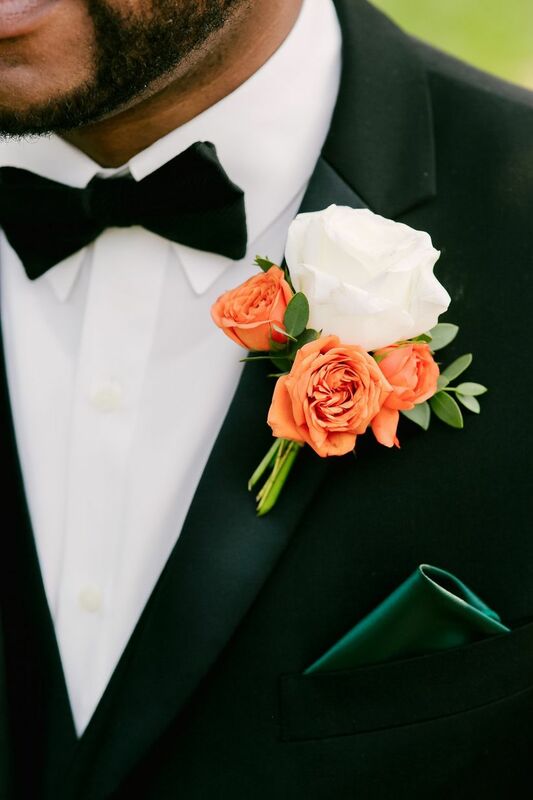 His rose boutonniere and emerald green pocket square contrasted dramatically with his tux. 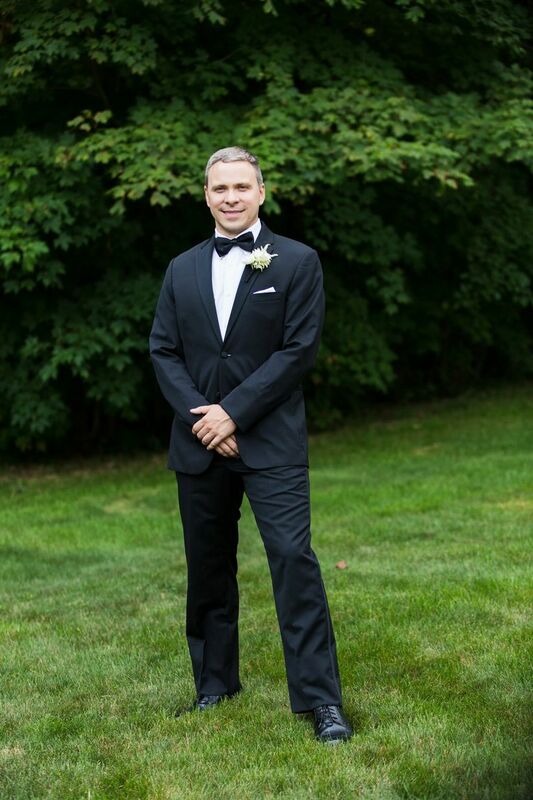 We can’t get enough of this classically styled tux. The double breasted vest and burgundy bring the look together. 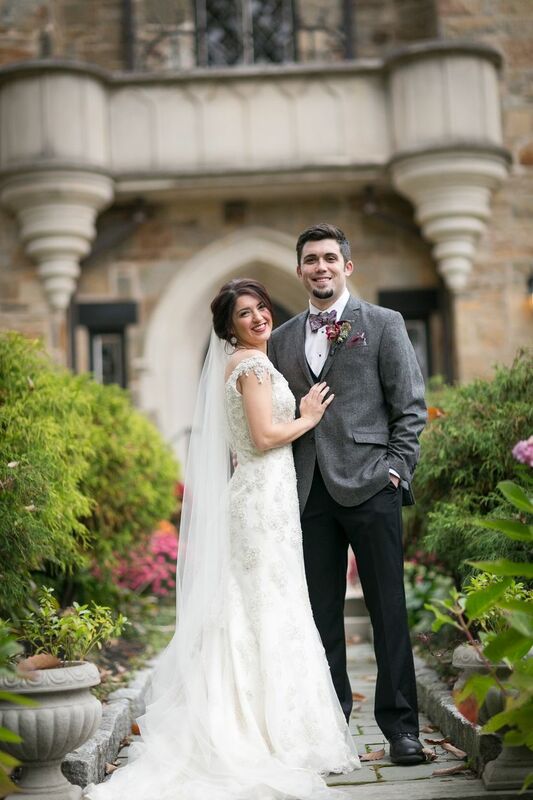 For weddings in the cooler months, consider ditching the classic dinner jacket for something sturdier to keep warm. In warmer climates, a white jacket is always an option. We love this stylist look with black piping. Trés chic! 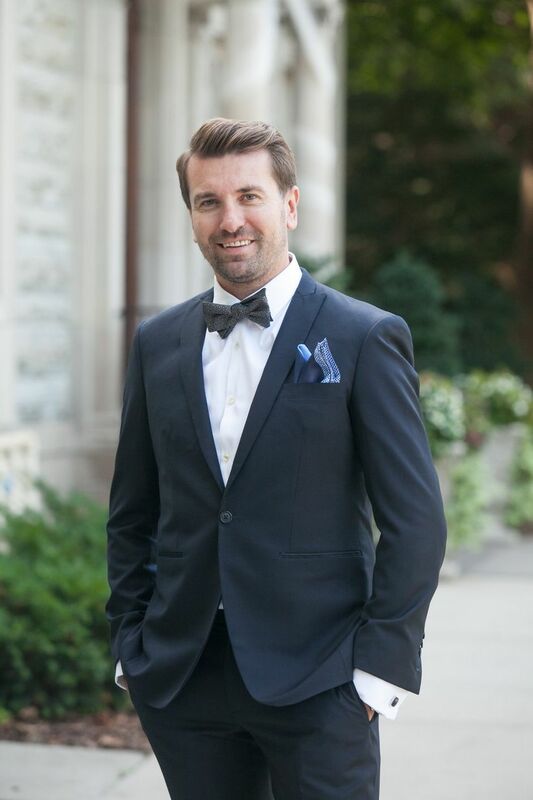 This groom looks dapper in a dark blue tux with a patterned bow tie and pocket square. 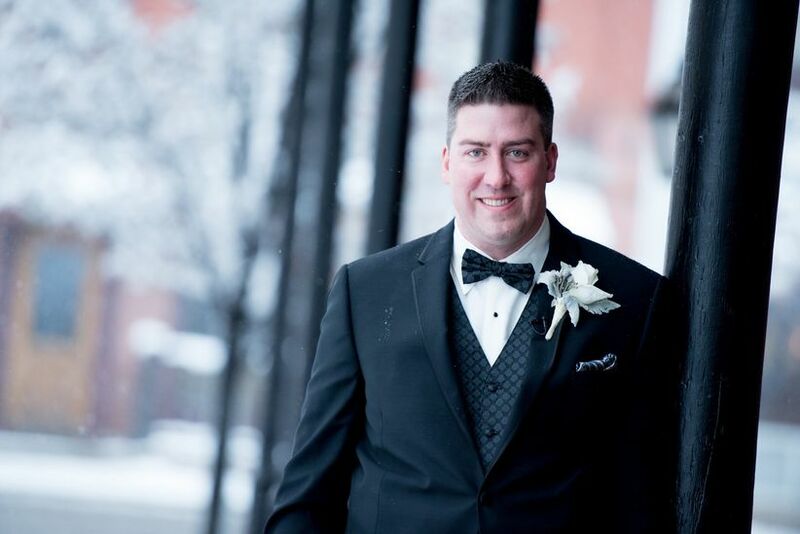 For a beautiful winter wedding, the groom dressed up his tuxedo with a patterned vest and matching bowtie. Bride & Bridesmaids What's Your Mother-of-the-Bride (or Groom!) Style? 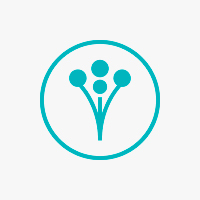 This quiz is for moms only! Let us help you narrow down the many dress options!